In Prince George, we talk a big game, but we have the all-star record to back it up. Fresh of knocking the nation's socks off by hosting the 2015 Canada Winter Games - the largest multi-sport event in northern BC - we're ready to show you our "A" game. But we can offer you more than just sports cliches; our thriving city delivers great value, first class facilities, and a passionate sport community. The ball's in your court, and we're ready when you want to take your game to the next level. Services Hosting Resume Upcoming Events Venues Show Your Badge	Why PG? Have your eyes on a big event? We have a customizable bid template and can assist with the development of an eye-catching bid package. Covering details from forming a committee to budgeting and marketing, this is great place to start if you're new to event planning or just need a refresher. We are excited to announce that the City of Prince George has created the SportPG Hosting Grant as part of the joint initiative 10-Year Sport Tourism Strategy. Click here to apply! Need help getting quotes from accommodation properties? Let us know what you need. We'll build an RFP and forward it out on your behalf. Participant bags with visitor guides and maps. A perfect way for sponsors to include giveaways! Need to organize a site visit for an upcoming event or bid opportunity? We can help organize itineraries for key stakeholders and decision makers. We want you to succeed, and we're ready to throw our weight behind you with our enthusiastic support. We specialize in letting people know what they can do in PG. Let us add value to you event by providing custom itineraries for participants and their families. Looking for catering, a photographer, or rentals for that awards dinner? Let us know, we'll connect you with great local suppliers. Hosting a really big event? We'll bring our mobile visitor services unit to you and answer all your participants questions about PG. You'd be surprised how much your event injects into the local economy. We'll run your numbers through our program to help with future media, grants, and sponsorship. Want to know what everyone thought of your event? Let's ask! We'll create a custom survey for you to email to participants. Let the feedback roll in! We'll use our Events Calendar and social networks to help get the word out and fill the stands! Ready to get started? Call Leanne at 250-649-3207 or send us an email and let’s get planning! From February 13 to March 1, 2015, Prince George and northern British Columbia hosted 2,350 athletes, 950 coaches and officials, up to 4,500 volunteers, hundreds of media and thousands of visitors for the 2015 Canada Winter Games. The event was the largest multi-sporting and cultural event to ever held in Prince George and northern British Columbia and generated an economic impact of $123 million while building champions and inspiring dreams amongst Canadian youth. The Prince George Caribou Cougars hosted the 2017 Telus Cup. The tournament is held annually by Hockey Canada to determine the national champion for midget ice hockey. The 2017 winner was the Cape Breton West Islanders. The Telus Cup has a number of alumni that have played in the NHL including Joe Sakic, Steve Yzerman, Sidney Crosby, and Patrick Roy. Prince George hosted round two of the Rockstar Energy Drink Motocross National in June of 2017 at Blackwater MX Park. The event had an amateur day on Saturday with 500 participants. The professional day had two races which were won by Christophe Pourcel of France and Cole Thompson of Ontario. In the Summer of 2016 Prince George hosted the Canadian National Fastball Championships. This was a huge event with 77 teams from all over Canada. The total economic impact on the City of Prince George was over 4 million dollars! Caledonia Nordic Ski Club hosted the 2016 Haywood NorAm/Buff Sprints Western Canadian Championship and Teck Northern Cup Series # 3 and 4. Sanctioned by the International Ski Federation (FIS is the world’s highest ski-sanctioning body), this event attracted some of the best athletes from across Canada. The 2016 World Baseball Challenge was the fourth time Prince George has hosted the event. The competition continues to be a popular tournament with teams coming from the United States, Canada and Japan. Previous years there have also been teams in attendance from Cuba, Germany, China, Taiwan and Bahamas. The 2016 event had an economic impact on Prince George of over 1 million dollars. In 2015, the City of Prince George hosted the Vancouver Canucks training camp. The Canucks spent three days in the city, selling out the CN Centre on both weekend days. The 'Nucks also hosted a town hall breakfast, minor hockey skills clinic, and public skate. In addition, the Canucks organization made a substantial donation to Prince George Minor Hockey Association! The Canadian Age Class Short Track Championship, hosted by the PG Blizzard Speed Skating Club, featured 70 athletes, 50 officials, coaches and families from across Canada. It was the first opportunity for the newly renovated Kin 1 arena to be competition-tested prior to the 2015 Canada Winter Games. Below are some upcoming Sports & Recreations events to look forward to in Prince George! 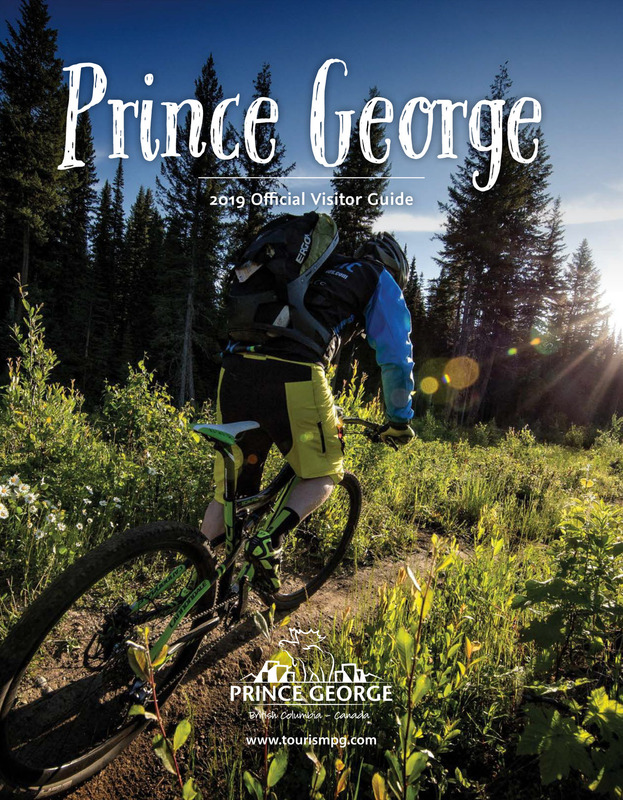 As the regional centre for shopping, the arts, and sports, Prince George has a lot to offer! Thankfully, access to a wealth of amenities doesn’t mean we’re too big to give you a tailored and unique experience; when you’re in PG, we’ll give you the red carpet treatment. You will be amazed by our incredibly diverse array of world-class facilities, no matter the sport. $20 million in upgrades for the 2015 Canada Winter Games means that all of our venues meet or surpass national standards. Prince George has the biggest volunteer rate of anywhere in BC! More than 4500 “green jackets” set the gold standard for volunteering during the 2015 Games. Let us show you what northern hospitality really means! In February 2015, the national spotlight shone on Prince George. The legacy left by the 2015 Games is substantial, from trained volunteers, coaches, and officials to a strong sense of community pride; we want to keep the momentum going!